Recently cancer is being thought of more and more as a stem cell disease, with these cells driving the development and spread of the tumour. Research has begun that aims to develop a new technique which will enable doctors to predict whether a tumour will spread, and if so where to, and most importantly what the best combination of drugs will be to prevent or to reduce relapse. This will be combined with a novel tool that will mimic the mutation of individual patient’s tumours, to allow analysis of the response to drugs and inform treatment adjustment on a personalised level. The aim is to use this combination of innovative tools and techniques to understand secondary tumours before they even develop, to greatly improve patient outcomes. There is a rare and aggressive type of breast cancer that is associated with pregnancy. 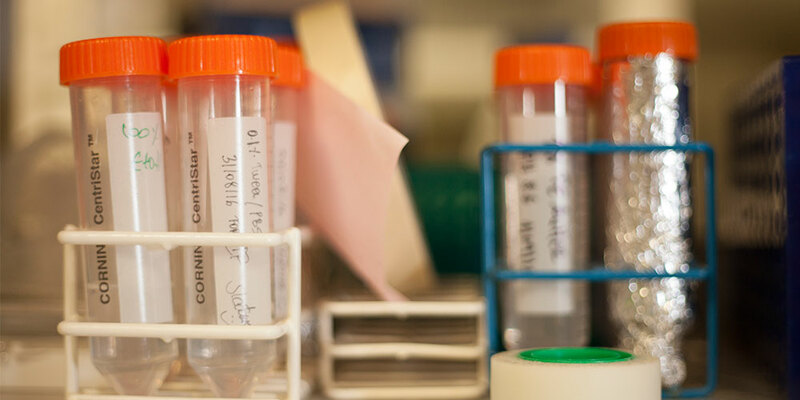 The scientists working on researching this are currently preparing patient samples ready to assess them for levels of a specific protein, which they believe may be overly abundant in the cancer samples. The next step will be to look for changes in DNA and compare them to 60 samples from healthy volunteers, obtained from the only tissue bank in the world that provides them. These samples are extremely limited, and our team is one of only a very small number in the UK that has been granted access to them. The scientists working on developing a drug to combat the cancer causing gene LMTK3, have been using various experimental and bioinformatics approaches to reveal the catalytic activity of the gene. They have successfully generated mutant constructs (clones), and have discovered that certain residues appear to significantly affect the solubility of the protein. 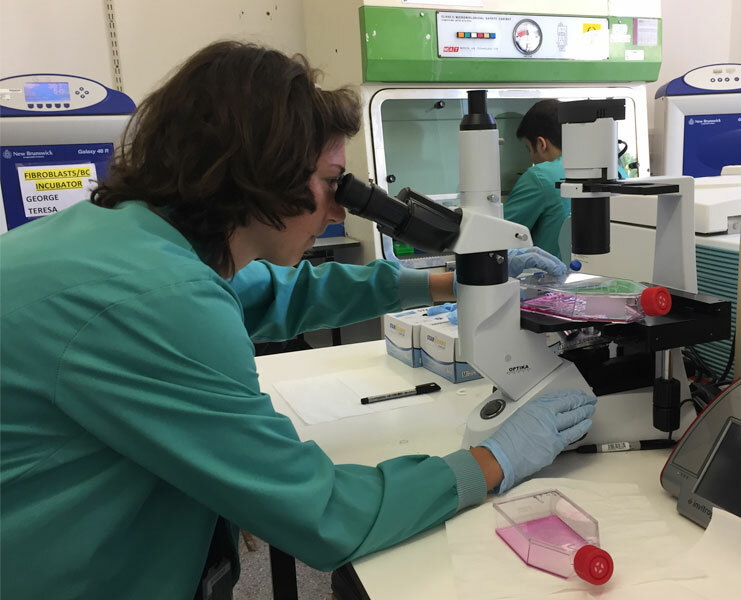 For the next stage of the project, the team are working in collaboration with scientists from the structural biology group at the University of Sussex. The team has discovered two specific short RNA molecules that are linked to the initiation and metastasis (spread) of pancreatic cancer. These very promising results have been validated, and strikingly it has been found that pancreatic cancer cells with reduced levels of these molecules formed less tumours and had less metastastic spread. Importantly, high levels of the two molecules in 100 tumours from patients were also found, suggesting that these molecules could be considered as novel biomarkers for the disease. The team is currently analysing data from more patients and completing additional experiments. Results from this exciting work will be published shortly. Artificial intelligence is being used in genetics and cancer research to help scientists understand very large and complicated datasets, for example cancer genomes. The team is involved in the development of world leading software that is designed to understand the genetics of certain cancer cells. To significantly improve cancer treatments, it will be fundamentally important to understand how these cancer cells work in detail.